Our equipment manager is responsible for ensuring we have enough equipment for each team in our league. Each offseason the equipment manager go through each equipment bag and inspects, repairs, cleans and restocks the bags for the next season. The equipment manager will check out and check in the equipment bags during the season. He/She will also help exchange any equipment that is missing or needs replaced during the year. We usually recieve emails or messages about the needs and the equipment manager can usually leave the needed equipment at the snack shack. The equipment manager is responsible for communicating the equipment needs of the league to the Board of Directors as well as responsible for gathering up pricing or quotes for the equipment that is needed. 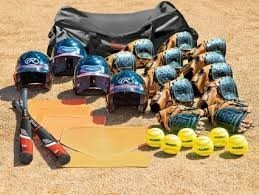 Equipment consists of batters helmets, catchers gear, bats, balls, equipment bags, pitching machines and generators. This is a postition that will need to seek out assistance in finding people to help go through and inspect, clean and organize the gear. We usually can get several helpers for task.